Kiehl's Lip Gloss / Gee Whiskers! I have to admit that I am not the biggest fan of lip glosses at all, mostly because the ones I have tried in the past are rather thick and sticky. I hate the heavy feeling it leaves on my lips. My absolute worst though has to be when the wind in Cape Town blows my hair all over the place and my hair ends up sticking onto my lips...that feeling gives me a severe case of the heebee jeebees. Then I have to deal with greasy hair for the rest of the day as well. 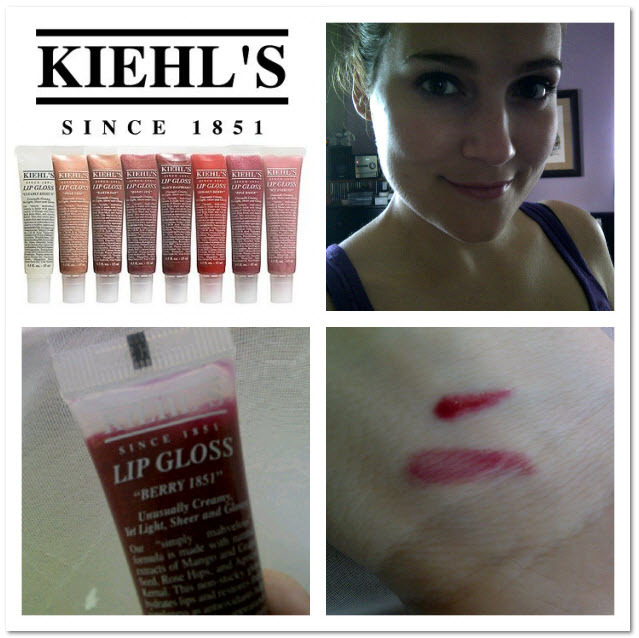 But I received a lip gloss in the Kiehl's prize I won recently and obviously I had to at least give it a try. In the tube the lip gloss looks incredibly red and thick (due to the rich colour) but when applied I was rather surprised by how beautifully sheer the colour is. The biggest delight is that this gloss is not thick, sticky or heavy on my lips. It has a rich moisturising feeling and when I press my lips together and pull them apart they don't stick to each other at all. I really love the sweet berry scent of the lip gloss because I am a fan of all things cherry. With all the wind in Cape Town (which drives me nuts!) this was put to the test - although some of my hair does stick to my lips it's not nearly as bad as what I've experienced in the past with other lip glosses. The best thing about this lip gloss is that it deeply moisturises lips leaving them incredibly soft and smooth - this is after only 1 day of use so I am thrilled with it. This lip gloss is a must for all ladies who love lip gloss! Great review and yes I hate the hair on lip thing too!!! LOVE your pic...so much of pretty! !